It’s official. Bookanakere Siddalingappa Yeddyurappa will be the chief minister of Karnataka if the BJP wins the next year’s Assembly elections. It was known earlier in a hush-hush fashion. But BJP president Amit Shah has made that abundantly clear now in an interaction with PTI. @BSYBJP will be #BJP's chief ministerial face in #Karnataka polls says BJP president @AmitShah to @PTI_News. By naming Yeddyurappa as the chief ministerial candidate, the BJP intends to do an Assam in Karnataka and snap up the southern state from the Indian National Congress. 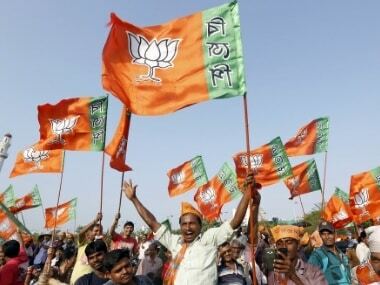 In Assam, the BJP had named Sarbananda Sonowal as the chief ministerial candidate during the run-up to the Assembly election last year and it worked even though the party projected no "chief minister’s face" even in key states like Uttar Pradesh and Uttarakhand that went to polls earlier this year. Shah’s confirmation that Karnataka’s 74-year-old upper-caste Lingayat leader, who is now the state BJP president, would be the party’s chief ministerial candidate assumes huge significance in view of the vicious war between him and senior leader and former state president KS Eshwarappa. Shah came down like a tonne of bricks on both the leaders last month by sacking two office-bearers from each of the two factions. Through the national general secretary in charge of Karnataka, Muralidhar Rao, who rushed to Bengaluru on a trouble-shooting operation, Shah delivered a tough message to both leaders, the essence of which was that they should stop reaching for each other’s throats and work towards winning the election, or, face some unpleasant action. After Shah forced a truce between Yeddyurappa and Eshwarappa, the two leaders indeed made friendly noises towards each other. Eshwarappa, 68, said he and Yeddyurappa were "not India and Pakistan". Yeddyurappa took Eshwarappa along for the 36-day state-wide tour of drought-hit areas which he began on 18 May. But it’s easy to see that the truce is a tenuous one, and though they have buried their hatchets, for the time being, they may dig them up again for a good use when provoked. And speculation has been rife on whether the party’s central leadership might "clip the wings" of Yeddyurappa in some fashion even if it meant looking for an alternative to him. All this talk was, however, set at rest by Shah’s confirmation that Yeddyurappa was the party’s man in the state. 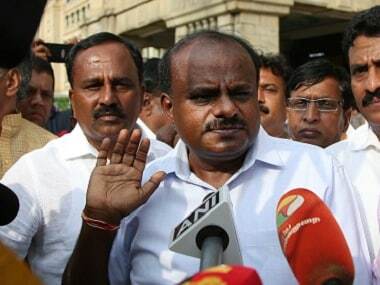 Eshwarappa's chief grouse against Yeddyurappa has been that he is "arrogant" and that he was giving him and his supporters a brush-off while filling party posts and taking important decisions. 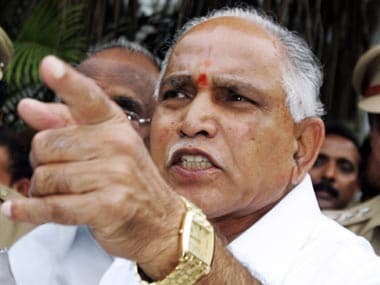 And Yeddyurappa's hackles were raised by the activities that Eshwarappa carried out through “Sangolli Rayanna Brigade”, an outfit that the later floated in 2016 ostensibly to drum up support for the party among the Dalits and the backward classes. Rayanna was an 18th-century warrior of Kuruba caste to which Eshwarappa belongs. Things turned nasty on 27 April when the Kuruba leader held a "save BJP" rally where his supporters breathed fire against Yeddyurappa’s "style of functioning", demanding that he should be sacked from the state party chief’s post by 10 May. Shah is evidently averse to slowing down Prime Minister Narendra Modi’s election juggernaut. 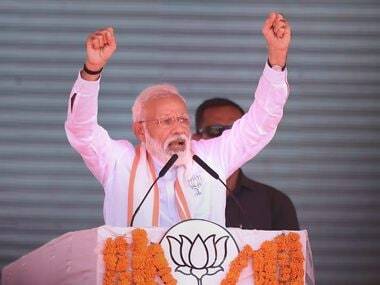 He is bent upon pulling off a hat-trick by winning Gujarat and Himachal Pradesh, where assembly elections are likely to be held towards the end of this year, followed by Karnataka later next year. Nagaland, Meghalaya and Tripura assemblies too will be up polls for early next year, but Karnataka will be the first big state to go for elections in 2018. Karnataka is the only large state other than Punjab in the country where Congress holds power and the only one in the south where BJP stands a reasonable chance of winning on its own. Shah is in no mood to let go of Karnataka for any reason, least of all infighting in the state unit. The BJP chief is expected to visit Karnataka soon both for a personal assessment of the goings-on in the party as well as to give the warring leaders a piece of his mind on the need for a united fight against the Congress. According to party insiders, the central leadership has already sounded off a polite admonition to Yeddyurappa about his brash style, and Shah may, in his own mild way, put him through the wringer when he visits the state. The party president is also expected to take a careful stock of the extent of discontent in the Eshwarappa camp and may calm him down by apportioning him some responsibilities in the election run-up. Eshwarappa has no problem accepting his rival as the chief ministerial candidate but only insists on getting his share of importance in the party which he headed twice before in 1992 and 2010. On his part, Yeddyurappa has plunged into an election mode and is busy getting his caste arithmetic right to achieve the party’s goal of winning at least 150 of the assembly’s 224 seats. With his two previous stints as the chief minister having abruptly and unceremoniously ended, he will not rest in peace till he gets the top job again. 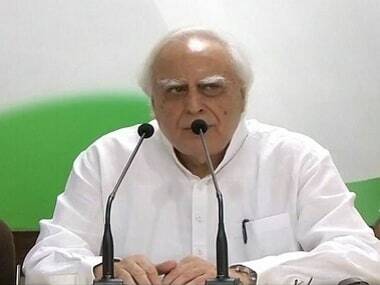 He became the chief minister on 12 November 2007 after the BJP struck an unholy alliance with the Janata Dal (Secular) of former prime minister HD Deve Gowda but quit just a week later following differences over sharing of ministerial posts. After leading the party to victory in the 2008 elections, he became the chief minister again but had to quit three years and two months later after his name figured in mining and land scams. Yeddyurappa, no doubt, is a busy man today. He is busy explaining he has been exonerated of all cases except a couple of them related to de-notification of land, which he says "all" chief ministers indulge in. He is also busy trying to mop up the upper caste vote and wooing the Dalits. Yeddyurappa is visiting Dalit homes and eating lemon rice and vada with them. He is also busy fighting the farmers’ cause, promising to waive off their loans if voted to power, and threatening to hold a rally with "lakhs" of them in Bengaluru. And, of course, he is busy telling people that Siddaramaiah is the very epitome of corruption and nepotism. On his part, Siddaramaiah must be hoping that Yeddyurappa will be busy nursing his electoral wounds after the 2018 election. And the BJP’s rank and file hope that, more than Yeddyurappa or Eshwarappa, it’s the Modi magic that will do the trick for the party. It’s more than likely that they will be proved right.